Where’s the best place to review flat caps? Its got to be Yorkshire. The land defined by flat caps and whippets, frothy beer and Emmerdale! So a package was dispatched (not by pigeon) to Yorkshire for a review by our “Gentleman in the North”. Here’s what he thought. Bailey of Hollywood, Made in Milan the label says….well that’s a fair few airmiles. 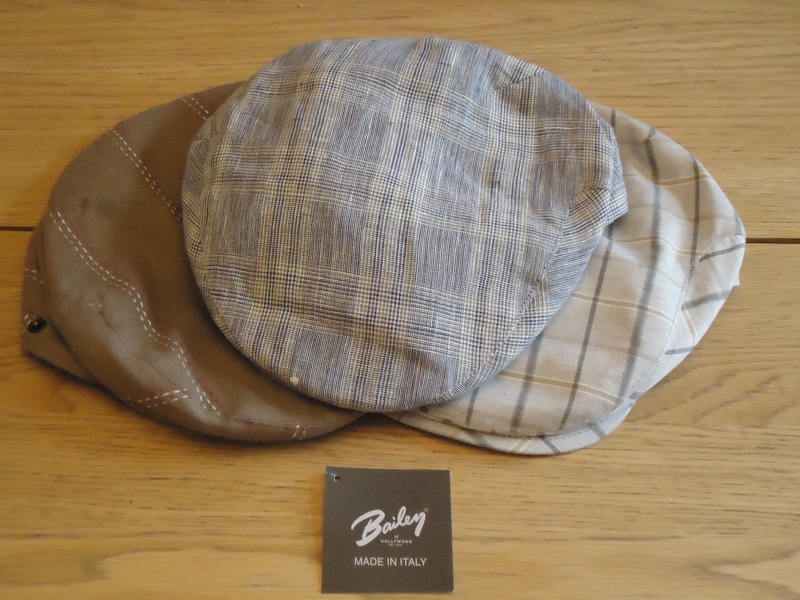 The three flatcaps that arrived were not your usual choice of materials, some very striking patterns and one even had pink stitching; that may be the height of fashion in Milan, but maybe not Mytholmroyd! In terms of construction, this is where the Bailey shines. The cap just screams quality, from the heavy gauge liner with the Bailey logo running through, to the perfect stitching and flawless linen outer, this cap is a very well made piece of headwear. The attention to detail is something I always assess as it can tell you if the price is justified or if someone’s trying it on because of the name. As you can always tell a made to measure pinstripe suit by the pinstripe lining up at the arm/body boundary, the same attention to detail can be seen on this cap. My favourite of the bunch has large check pattern made up of multiple lines; these are matched perfectly as the top panel joins the side panel. 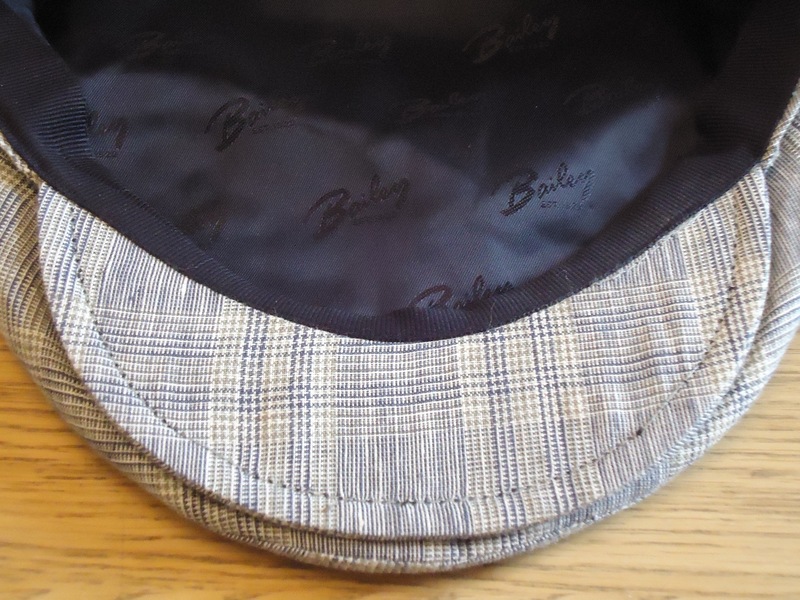 There’s also less obvious, but tell-tale signs of quality; the logo on the liner all runs perfectly level, the pattern on the underside of the peak is straight and centralized and the head band join is hidden under the Bailey tag. All these little things show you this is a quality item that hasn’t been thrown together in a sweat shop! The caps that were sent were Large and fitted my head perfectly. The shape of the cap on the head is slightly different to most in my collection due to the slightly larger side panel. This produces a shape that’s a sort of cross between a Bakers Boy and the traditional Flat Cap. No bad thing, it’s just different.